has awarded another project PD Lab Project to RNC Singapore. Works will be carried out in the existing facilities. The value of the completed project was SGD$1.2million. Linde Gas award Maintenance Contract for 16th Consecutive Year to Hiap Seng Engineering Pte Ltd and Hiap Seng Engineering Pte Ltd continue to trust and award the Electrical & Instrument Services to RNC Singapore. recommended RNC Singapore for SAR 2 Interconnecting Pipeline Project in Jurong Island after good support shown for Shell Marina Project. RNC has started working again for after a gap of 10 years. LV Master Plan which involves upgrading of LV Switch Board in a Live Plant for 9nos Switch Houses in different location is renewed by Shell . continues to have good faith in RNC Singapore and awarded MSB Project. RNC Singapore successfully completed ’s Extension of Sewage Treatment Plant Project on Jurong Island under the Main Contractor, HSL Constructor Pte Ltd .
RNC Singapore was awarded project by Shell in Tuas for their Shell Marina Project which comprised Grease Manufacturing Plant and Lube Oil Blending Plant in June 2015. RNC Singapore along with the EPC Contractor Amec Foster Wheeler successfully completed the project at a value of SGD$8.6million with peak manpower of 200men and Zero Loss Time Injury for nearly 500,000 manhours. LendLease Singapore Pte Ltd continues to have good faith in RNC Singapore and awarded Amgen HWFI Project. RNC Singapore did successfully transition from ISO 9001:2007 to ISO 9001:2015. ISO Certification is by SAC and UKAS Management System. After good support by RNC Singapore for in Tuas Project, awarded Afton Project Admin & Warehouse Building to RNC Singapore for a value of almost SGD$1million. RNC Singapore has successfully completed Alcon Japan Line Project on Tuas. RNC Singapore starts working for , they have awarded minor works in Abbvie Singapore. Shell awarded a Fast Track Project to RNC Singapore for ECC Recovery Project in Pulau Bukom. RNC Singapore completed the project worth nearly SGD$4million in a period of 4 months. RNC Singapore has successfully completed Public Utilities Board Project on Jurong Island. RNC Singapore has successfully completed Shell's Leo & Silver Project on Jurong Island, and Shell's ECC DBN & FR project in Shell Bukom, with no loss time injury. Total man-hours without LTI was 795,656 man-hours, with a combined contract value of SGD$ 20 million. Successful completion of project installation with no loss time injury for a total of 497,488 man-hours utilized in this project. ECC DBN & FR Project @ Shell Bukom. Shell Bukom awards third consecutive major project to RNC Singapore. Upon the sucessful completion of Scot & Bugis Project, Shell has awarded another Project in Jurong Island to RNC Singapore. In this project, RNC Singapore will be involved in Electrical and Instrumentation (E & I) Work in Leo & Silver Project. RNC Singapore has successfully completed Shell’s Scot & Bugis Project in Pulau Bukom. The value of the completed project was SGD$ 13.5 million. RNC has renewed as Building and Construction Authority Registered Contractors under the following workheads. 1. ME01 Air Conditioning, Refrigeration & Ventilation Works (Grade L1). 2. ME04 Communication & Security Systems (Grade L2). 3. ME05 Electrical Engineering (Grade L5). RNC Singapore was awarded the installation, testing & commissioning of electrical & instrumentation works at JAC OSBL Project Project by Essar Projects Singapore Pte Ltd (EPS). RNC Singapore was awarded the electrical contract works by Siemens Pte Ltd / SWTS Pte Ltd for their project in Pulau Bukom which includes upgrading of existing electrical installations. RNC Singapore is pleased to announce that Shell has once again shown faith in RNC Singapore to execute its Mega Project in Pulau Bukom. After the successful completion of the Houdini project from 2007 to 2009 Shell has awarded the SCOT n BUGIS project – electrical and instrumentation work to us. This continuous support and confidence shall make us further improve our capabilities; we will continue to provide our best service on time and within budget without compromise on safety and quality of work. RNC Singapore was awarded the electrical, telephone, ancillary works and A.C.M.V. installation contract for Stolhaven project on Jurong Island. RNC received GOLD AWARD in recognition of zero HSSE performance from 2006 - 2010 from Shell Eastern Petroleum Ltd.
RNC is awarded a project by (Renewable Energy Corporation) for its new walkway project at Tuas. This project introduce solar panel casting and commissioning work. Project expected to complete in Nov 2010. RNC was awarded the certificate by WSH COUNCIL. 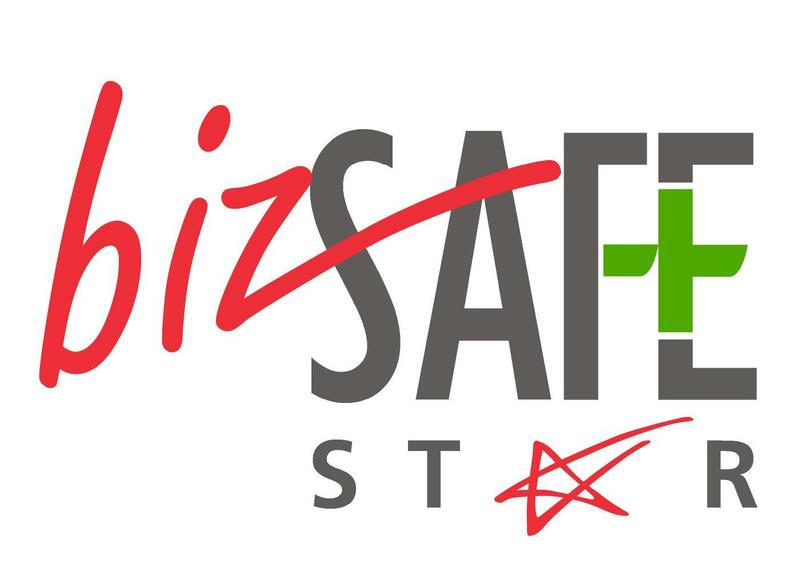 The bizsafe programme promotes workplace safety and health (WSH) in Singapore. It is the initiative of Ministry of Manpower, Singapore, under the auspices of the WSH Advisory Committee.